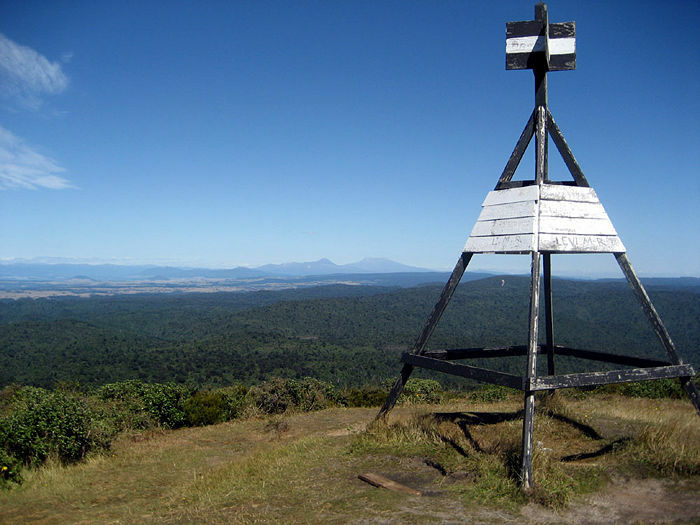 With a height of 1165m, you might expect Mt Pureora to tower over the surrounding countryside. In fact, it cuts a relatively gentle silhouette across the skyline, and walking to its summit is a moderate half day tramp. 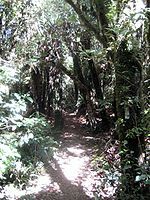 The track starts at 800m high, and it is fairly rare to be able to reach a summit as high as Pureora with such a small height gain. On a clear day, the summit will afford sweeping views of Lake Taupo, Tongariro, the Kaimanawa Ranges, and across the southern Waikato. From Taupo, take Poihipi Rd until it intersects with State Highway 32. Continue south on SH32 and look for the yellow AA sign (on the left hand side of the road) pointing to Pureora Forest Park and Kakaho Road. Turn right here and the road will soon turn into a dirt road. 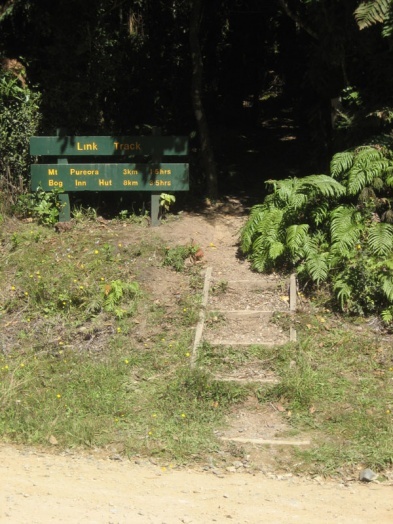 Follow the dirt road for some time, until you reach the Mt Pureora track sign. 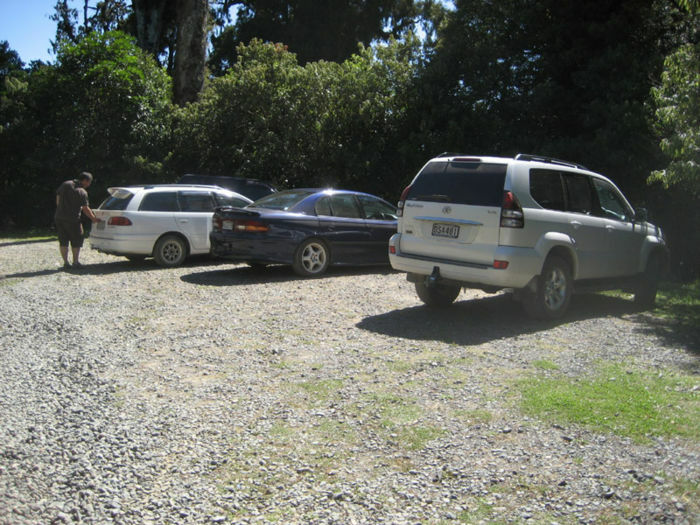 There is a small carpark here, and there is also a signpost for the Titiraupenga track. 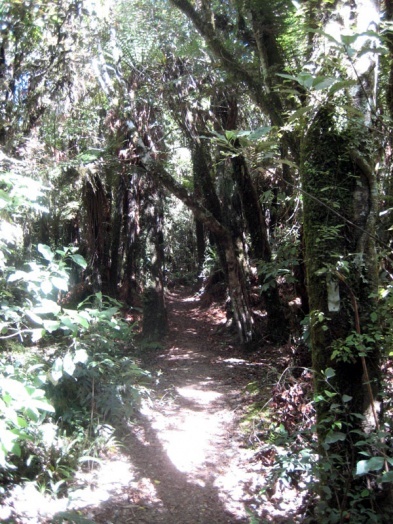 You can also reach Link Road from SH 30 (between Te Kuiti and Mangakino). The track from the Link Rd carpark climbs gently upwards through forest, and passes over two streams (one bridged). 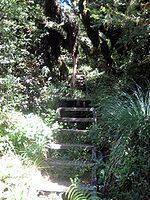 The track itself is of tramping standard, narrow with gnarled tree roots and the occasional scramble up eroded sections. Nearer the summit, there are extensive sections that have been boardwalked to protect the volcanic soils and vegetation (and make the walking easier!). After about 1-1.5 hours, the track breaks out on to an open top and leads up to the trig at the top. At the top are spectacular panoramic views of Lake Taupo, Mt Ruapehu and the Kaimanawa Ranges. 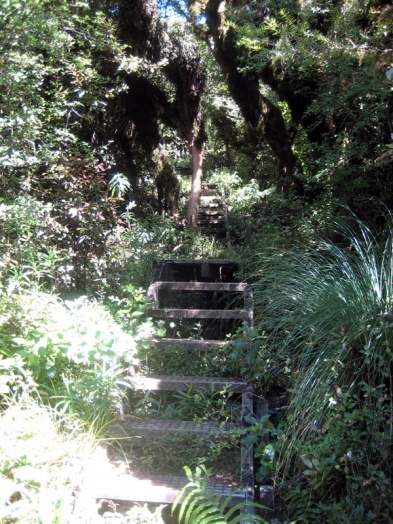 Return the way you came, or if someone is picking you up you may prefer to take the Toitoi track down the other side. The main track from Link Rd has had a lot of work in recent years and is now boardwalked pretty much the entire way, so no need to worry about mud even after rain. 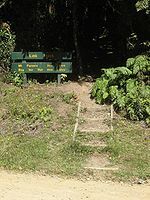 Other routes however may get muddy and slippery. The DOC brochure for Pureora Forest Park includes a general map of the area. 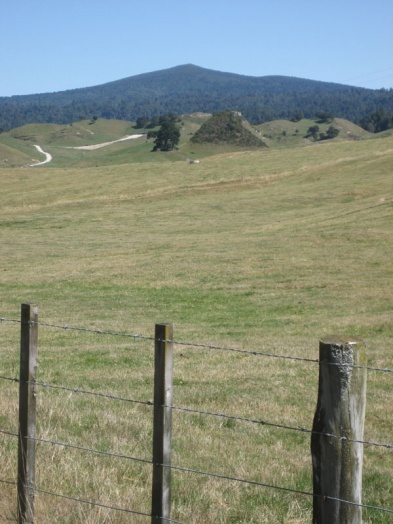 The track from Bog Inn Hutt (4-5 hours return).